I love interesting little details on furniture. 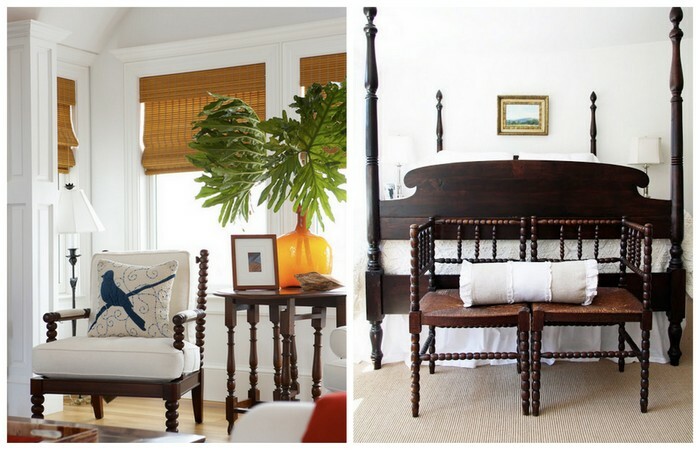 Twisty legs, spindles, or the Jenny Lind style beds — they all add such a fun sculptural detail to a room! I have a cool old chair with spindle legs that my mom found at an estate sale years ago. It has been sitting around in my garage since we moved here! Now I’m inspired to give it a fresh makeover and bring it out again! Do you have any spindle style furniture? This post is the first in an ongoing blog series I’ll be sharing here from time to time called “Inspired Style,” which will focus on types or styles of furniture and accessories to look out for when you shop at Goodwill, thrift stores, consignment shops or your favorite local furniture stores! Hopefully it will inspire you to be on the look out for thrifty finds of some classic and fun styles! ***Did you see the awesome ebook bundle sale in the previous post? Don’t miss it, it is a great deal on a one week only sale bundle of some of my favorite author’s ebooks! When I grew up I had a Jenny Lind bed. I loved those spindles. I remember stroking my fingers over the bumps as I dreamed of houses and decorating and more. Yes…I did. Today I don’t think I have a spindly thing in my house. Hmmm… I just might need to do something about that. p.s. Today is my blogiversary…you could say I’m just a little bit excited! :) Thanks for being my inspiration, Melissa! Yes! I have furniture w/spindles. I LOVE spindles. 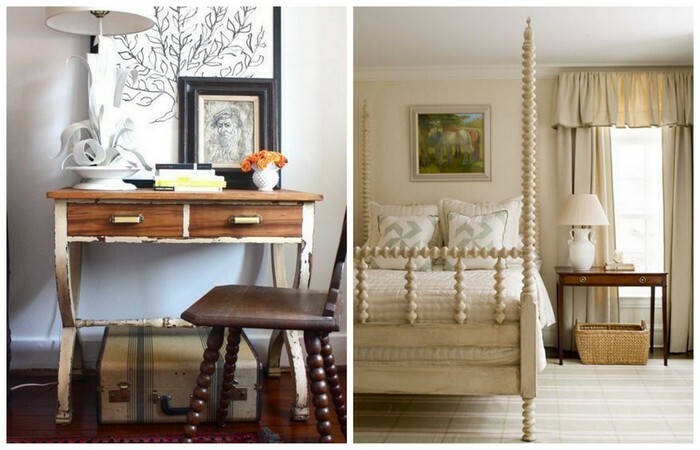 (those beds make me swoon!!) In fact, I have an old, old bunk bed with amazing spindles that I got for $20 off of CraigsList. Am planning on painting one of the beds a cool color, loading it up with tons of pillows (homemade, of course) — and it shall be a daybed! It will reside in my home office in a corner that gets wonderful winter sun, and is just the most lovely place to read or nap. Can’t wait! Oh that sounds AMAZING!!! I hope you’ll share a pic when you get it done. Yay for a $20 Craigslist find!! When my husband and I were expecting our first baby, we didn’t have much money. But we found a beautiful dark stained Jenny Lind crib at our Church tag sale. What a find! I felt so classy putting our new daughter to sleep in there. And it lasted to serve through several other of our children! I always have fond memories of that crib and enjoy the spindle style because of it. I love the spindle details on furniture. 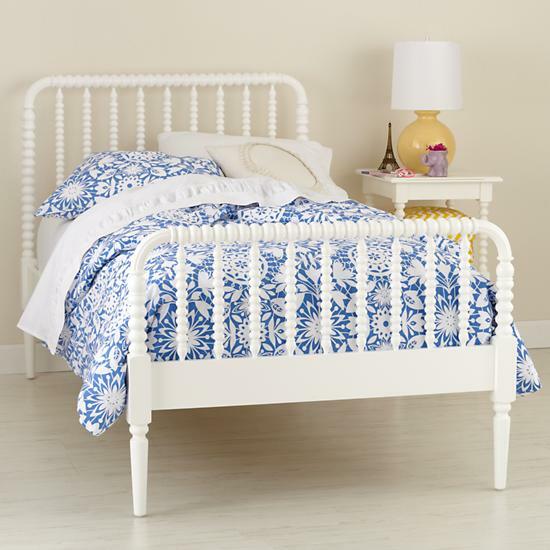 I’ve actually been looking for a Jenny Lind style bed for my daughter for her next room but haven’t found anything yet (I was hoping to buy used or vintage but they are tough to find). Do you have any tips on painting this style furniture? I have a pair of twin beds with the spindles that I’ve been sanding down, but I imagine painting it won’t be as easy. I love the ornate and decorative feeling spindles add to a room; the examples you posted are lovely. I have seen a few spindle bed frames at thrift shops and yard sales and now I’m wishing I would have picked them up and given them a fresh coat of paint! The red frame is amazing! I purchased a spindle bookshelf for our new media room. On Craigs List. Here’s a link to the story behind it. I also love spindle furniture. I don’t own any but I do have two antique barley twist parlor tables. I love them. They will never painted; not by me at least. When I became a grandmother for the first time, I bought a spindle high chair. I really didn’t want one of those plastic things in my kitchen and I knew could pass it to a friend later, it could be our little group of granmother’s ‘heirloom’..spindle furniture last forever! I did pass it along…my youngest grandchild just turned 6! I love this post!! My daughter had a Jenny Lind crib which I choose because of its classic beauty!!! 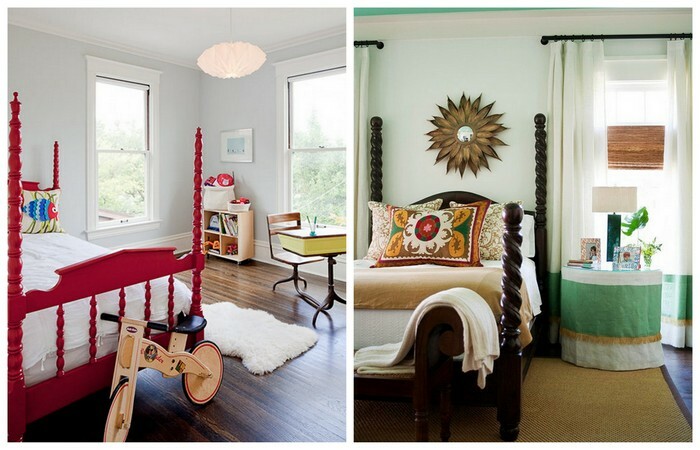 Love, love, love the red spindle bed. And we have a pair of spindle chairs just like the last pictured in our warehouse. Can’t believe someone hasn’t snatched them up already.